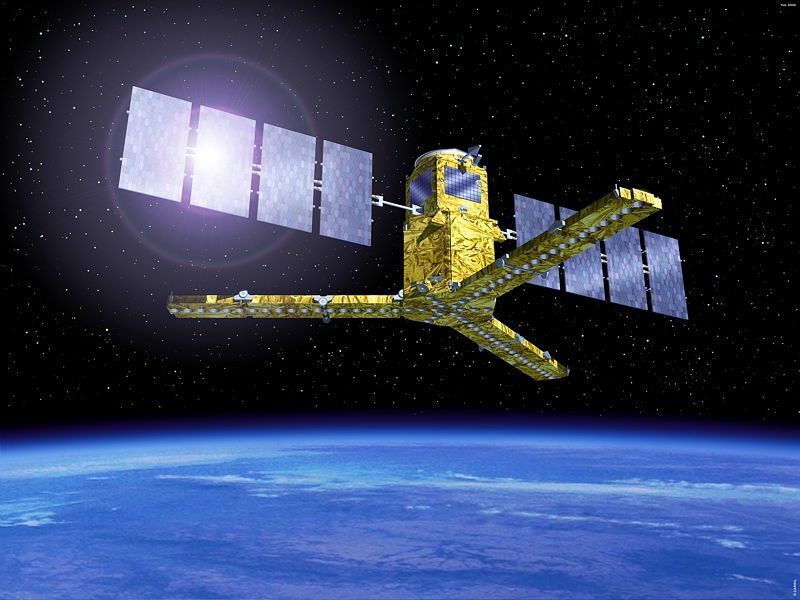 Europe’s Soil Moisture and Ocean Salinity satellite (SMOS) reached its final operating orbit on 19 November. In addition to its prime mission, SMOS is also mapping brightness temperatures around the globe. SMOS reached its final operating orbit some 760 km above Earth on 19 November. Credits: Ill. ESA. It took the SMOS* satellite just 3 weeks to reach its final operating orbit at some 760 km above Earth’s surface. These first weeks of the mission have been a busy time for engineering teams at the control centre at CNES’s facility in Toulouse. “In the first few days after launch, we performed a series of checks and adjustments on the satellite systems to make sure they are in good shape,” explains François Bermudo, SMOS Project Leader at CNES. François Bermudo, SMOS Project Leader at CNES. Credits: CNES/E.Grimault. For example, teams deployed the instrument’s antennas, switched on the star trackers and calibrated the gyros that are used to control the satellite. These verifications culminated on 17 November when the payload instrument was switched on. The instrument is an interferometric radiometer that will enable SMOS to measure soil moisture and ocean salinity from space for the first time ever, bringing new insights into the mechanisms underlying climate change. First SMOS picture of brightness temperatures of land and ocean surfaces, blue showing the lowest temperatures and red the highest. Credits: ESA. The first SMOS data have been successfully downlinked to ESA’s receiving station in Villafranca, Spain. These data were processed to generate pictures of the globe highlighting brightness temperatures of land and ocean surfaces, blue showing the lowest temperatures and red the highest. François Bermudo is delighted with how SMOS is performing: “Payload calibration isn’t yet complete but we can already see that the system is working well,” he says. 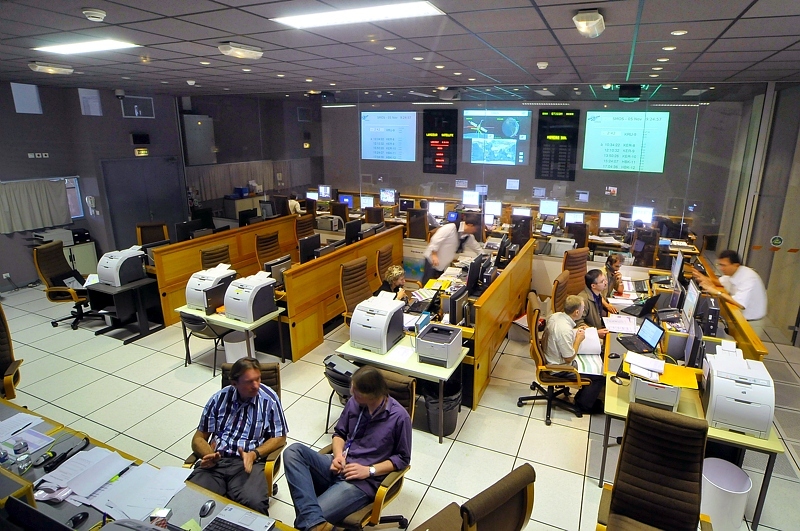 SMOS SCP2 control centre at CNES in Toulouse. Credits: CNES. Switch-on of the payload brought the LEOP** phase to a close but in-orbit checkout operations are ongoing, with a review planned in January before the start of the full operational phase. The first “real” soil moisture and ocean salinity maps are expected to arrive within a few weeks. 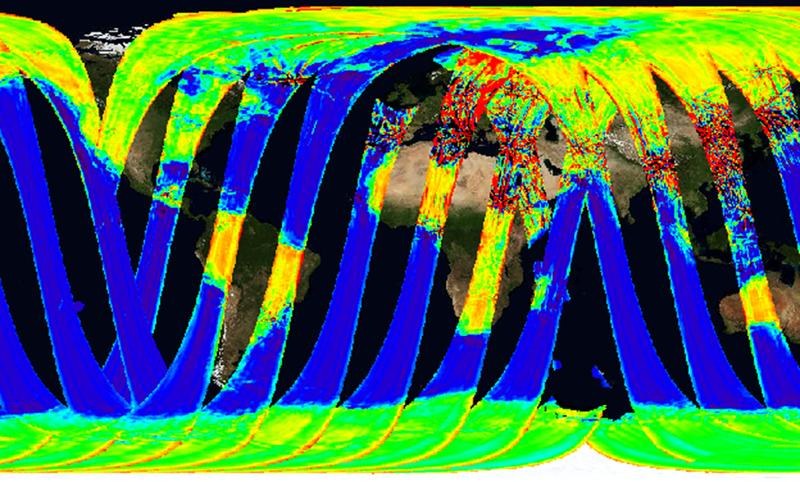 SMOS data could be ready for delivery to the worldwide scientific community as early as the second half of next year. * Soil Moisture and Ocean Salinity.